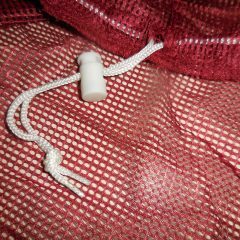 Each Hay Holder Bag is made uniquely to your order. Hooks are included. 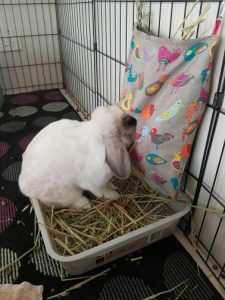 Therefore to order a Hay Holder Bag for your pet’s home, please select from the options below. 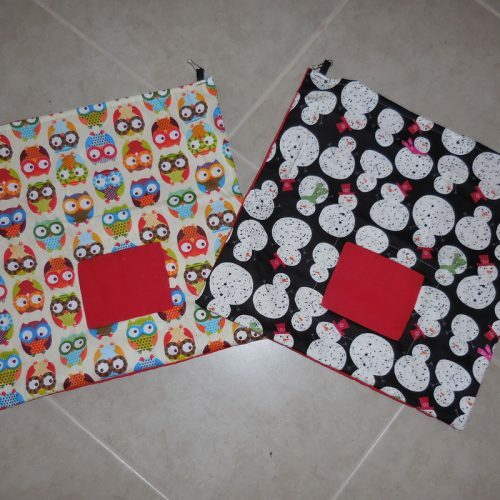 Select your choice in Size, Single or Double Holes and Cotton OR Flannelette Fabric. If you would like to see images of the range of Fabrics, please use the Fleece Choices link above in the main menu. Buy 2 and you'll get 10% off! 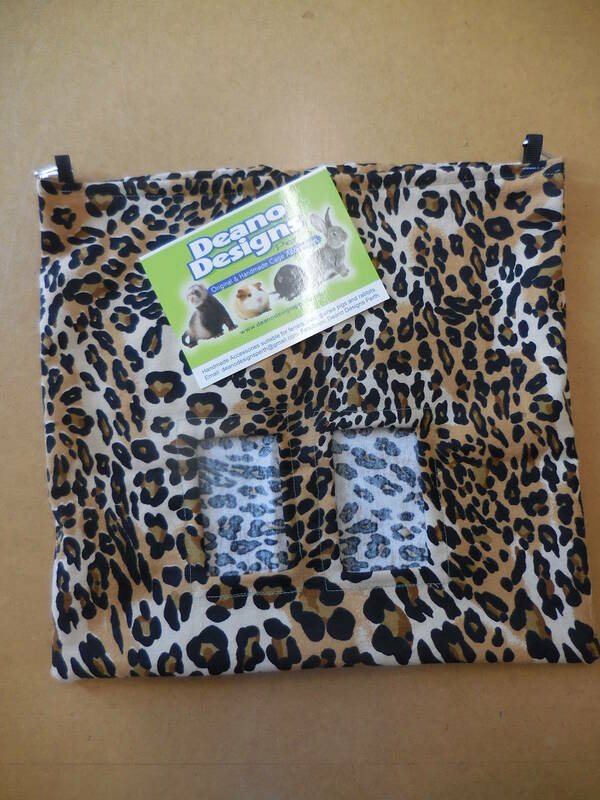 Deano Designs Perth Hay Bag Holders help keep your pets hay fresh longer as it’s off the cage floor – no more soiled hay to throw in the bin! Less mess = less wastage. 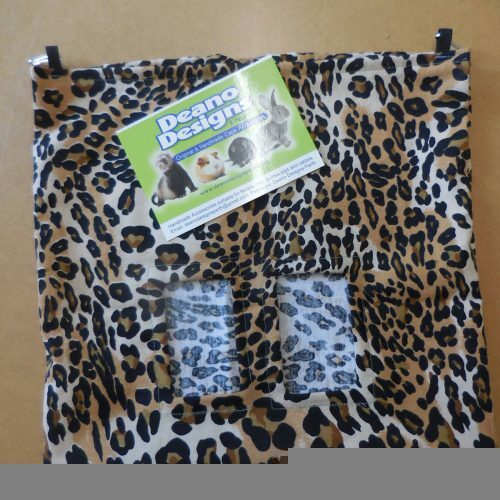 Ideal for Rabbits and Guinea Pigs. 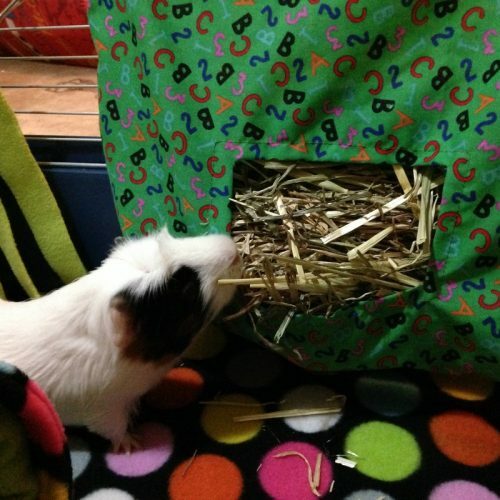 Fill the bag with hay from the open top – the pets pull hay from the bag thru the front hole as required. Ideal for allergy sufferers in your home as the hay is contained not being blown or kicked about all over the place. 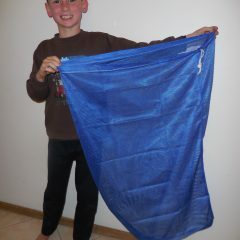 Made from cotton or flannelette only, with hooks included. 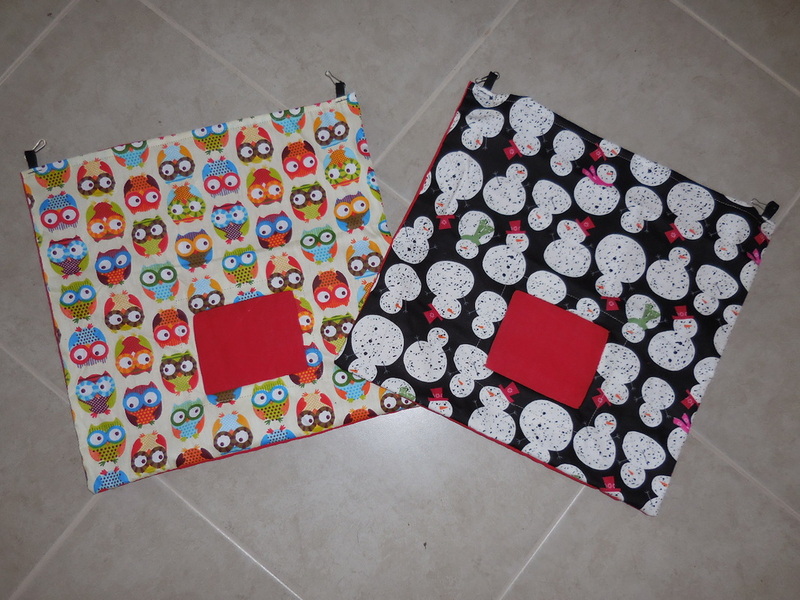 Choose a cotton or flannelette fabric from our range & have one made. 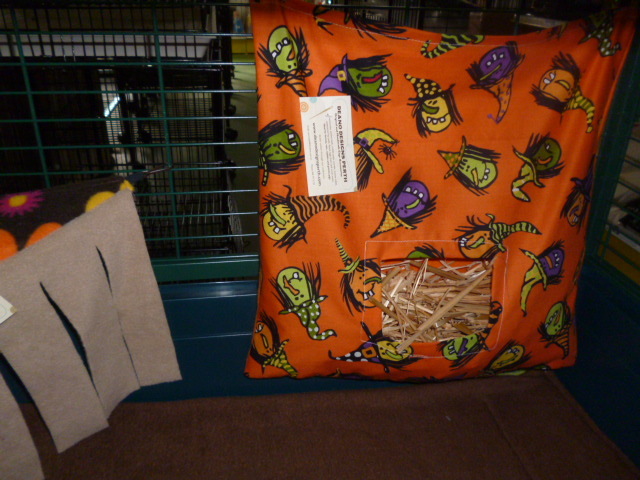 Hay holder bags cannot be made from fleece. 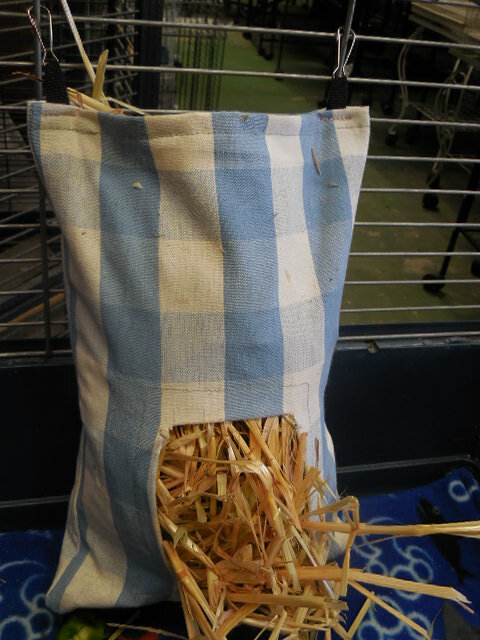 For those of with animals that JUST LOVE TO CLIMB INTO THE BAG – the “double-hole” option may work for you, it has smaller openings to pull the hay out. WASHING: A gentle handwash if necessary. I personally love how safe these are for my Guinea Pigs! My boys love to climb inside the bag (I’m certain I’ve seen 2 bums sticking out at the same time) and due to the size of the hole at the front I can rest easy knowing they won’t get stuck or hurt themselves. Perfect for keeping hay tidy in the cage. My Guinea Pigs also enjoy a good nap inside ? I’m about to buy a couple more to help keep up with my cleaning routine so my cage never has to be without a hay holder. 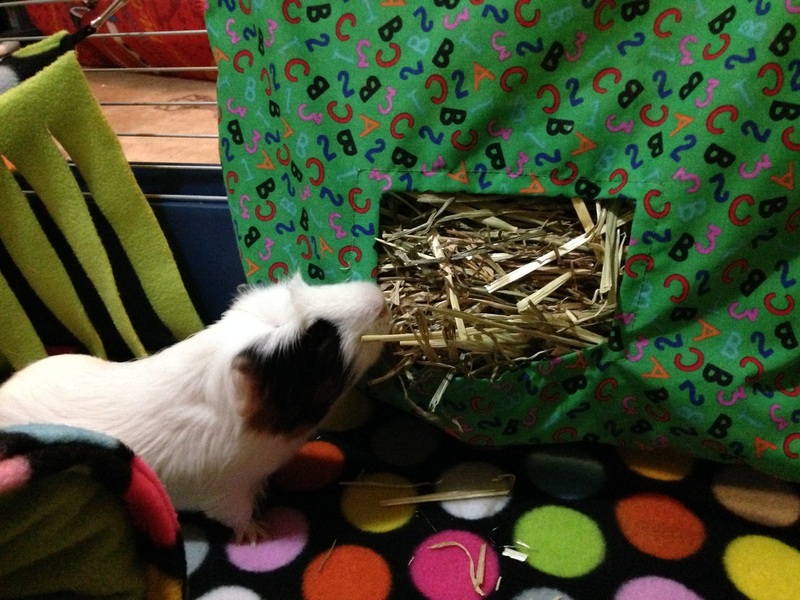 My guinea pigs love their hay holder bag. Very handy for keeping hay off the ground so it doesn’t get trampled on, and keeping things a bit tidier.